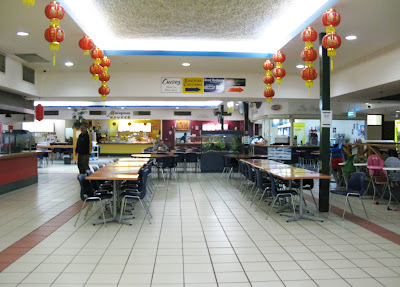 Had a couple of friends told me about a food stall that serves the best Char Kuey Teow in Perth! 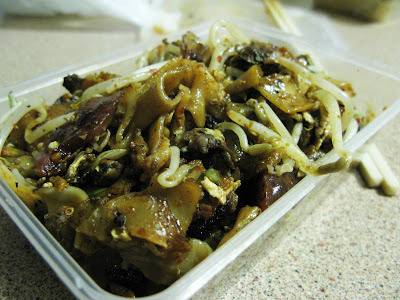 As a Char Kuey Teow fan who haven't found any good ones in Perth, was finally there to try this so called the Best CKT! 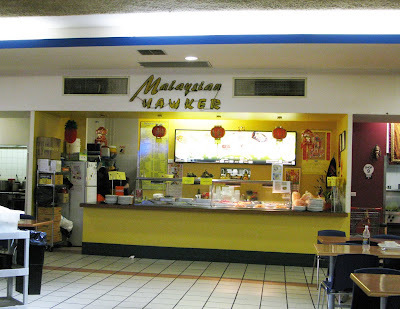 Went straight to the Malaysian Hawker. Looking like nothing special ey? They got Bak Kut Teh and Bachang too! I was so tempted to try the Bak Kut Teh but I stopped myself. Have to have the CKT first! No matter what! Ordered take away, CKT HOT for myself and Mee Rebus HOT for Joe. second bite.. nom nom nom.. Gowd that's very spicy! 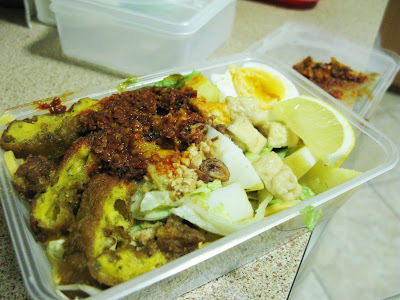 FYI, so was Joe's Mee Rebus. I should have order medium hot instead! To be honest, there is no doubt is the best CKT in Perth. They actually got Chinese sausage and Si Ham (Clam) in there! You hardly can find these 2 ingredient in other restaurants, which is sad. So, I was quite impressed by it! 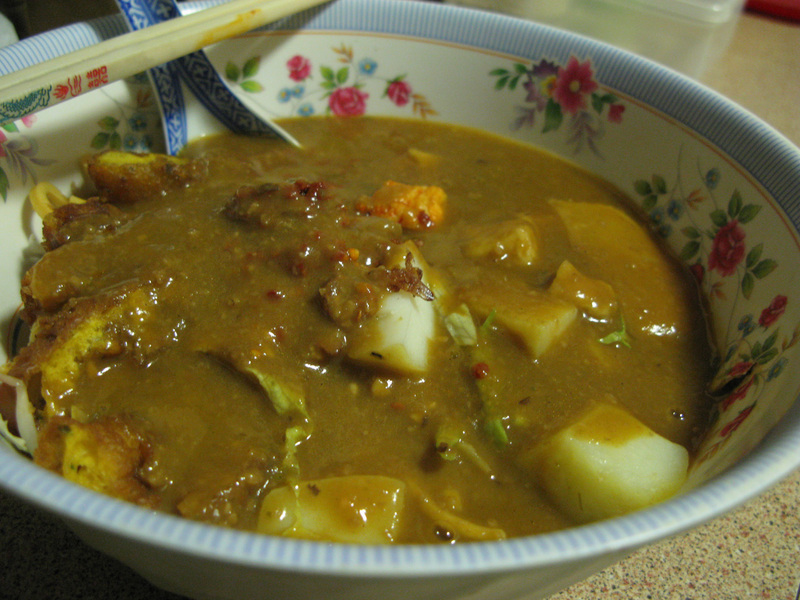 Taste was quite authentic! Love the Kuey Teow.. not oily and nicely fried. I would definitely going back there and have CKT.. or maybe try the BKT hehehe..
Assorted Daifuku $2 each from Emma Seafood, Northbridge. I tried the one on the far right, with the leaf. 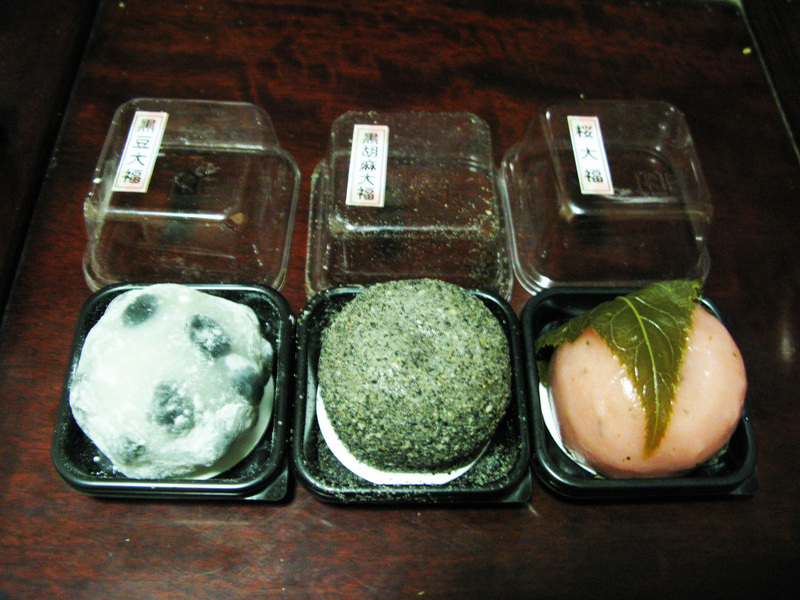 It's Sakura Daifuku. Hey, I love it! Quite a surprising flavour.. a lil sour a lil salty on the outside and sweet red bean paste in inside. I ate the leaf too! It was yum! I shall buy more the next time hehehe..
eeheheh remember to order mild or medium instead of HOT! Nice to meet you Conor!